Chromacide is an animation and sound production company in Toronto that uses Houdini for effects in commercials and other forms of video. Geoff Marshall is founder with musician Dave Howard. Richie Hawtin aka Plastikman is a pioneer of minimal techno, a style of techno that maintains a strong electronic rhythm, but opens up a lot of space for exploration of rich textures of sounds. His first label, Plus 8 out of Windsor, Canada, has produced over 100 CDs and vinyl recordings. Richie has started a new label, M_nus, home of Theorem and Clark Warner, who performed with Richie at the opening party of the Nouveau Cinema / Nouveaux Medias film and media festival in Montreal, Canada on October 16, 1998, alongside 3D visuals from Chromacide. 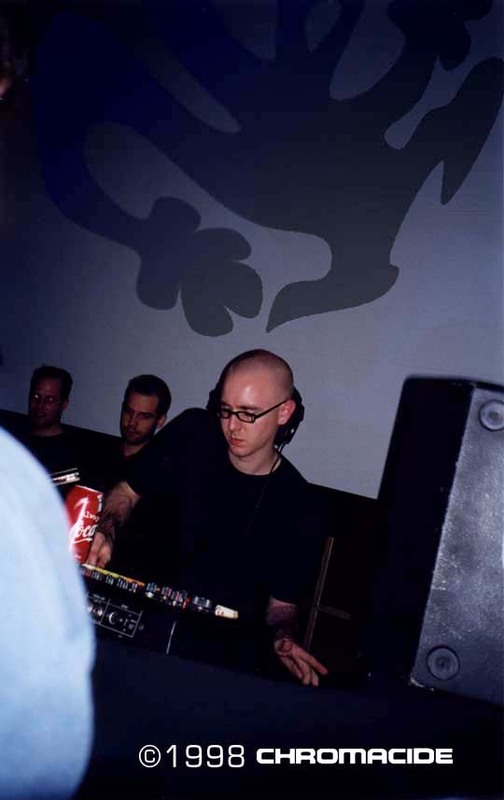 Geoff Marshall teamed with Richie Hawtin for a Houdini-based installation in a Detroit event in June 98, then conceived and created the visuals for the Plastikman event in Montreal. Houdini ran in realtime on an SGI Octane. The Octane was generously donated for the event from Silicon Graphics, Montreal. Derek Marshall set up the system for this event and made some of the animation. Agent Drek (animator), Agent Tania (producer) with Geoff running Houdini on his Silicon Graphics OCTANE at Nouveau Cinema / Mouveau Media in Montreal. 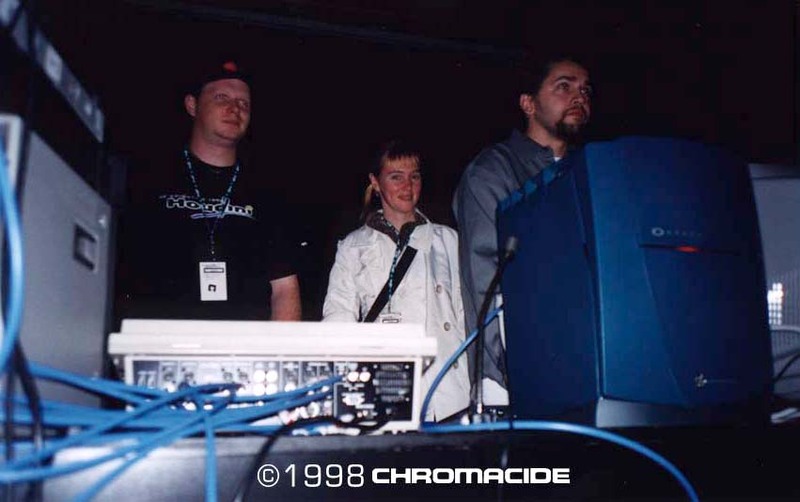 Press Release Nov. 6 1998 - CHROMACIDE goes to Montreal, London. CHROMACIDE was recently invited to perform at the opening night of the FESTIVAL INTERNATIONAL NOUVEAU CINEMA NOUVEAUX MEDIA in Montreal, where three large screens displayed MIDI controlled animation generated on a dual processor Octane, courtesy of SGI with software provided by Side Effects Software Houdini. The images were manipulated in real time while Clark Warner and Theorem got the crowd moving. Featured that night was a very wicked and extended set by Richie Hawtin who worked closely with animator Geoff Marshall to achieve a look that would complement his recent Concept series. 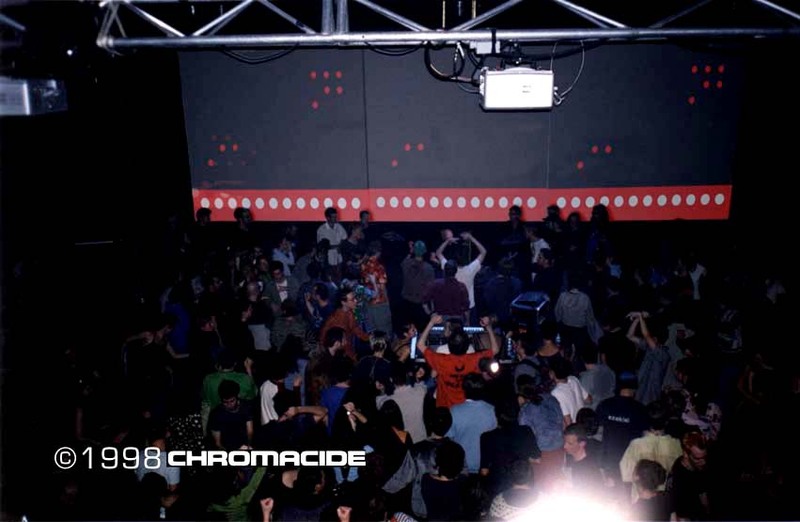 This was the second in a series of events that started with a party in Detroit last July,and will see the CHROMACIDE/M-NUS team traveling to London, England on November 19 for a party in Brixton. Future shows are planned for Montreal and Toronto in the new year.